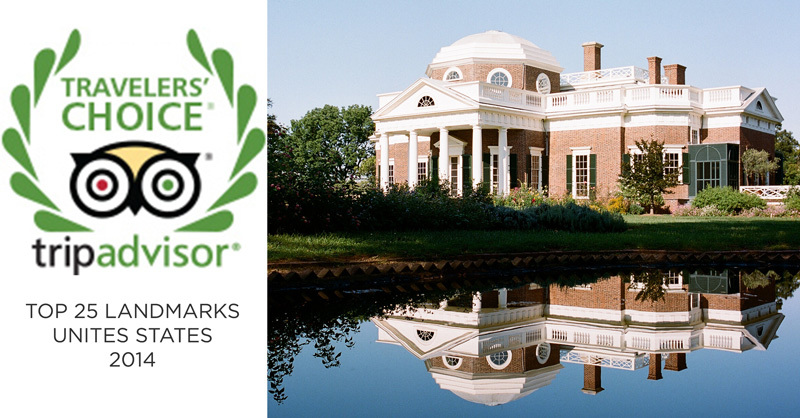 In celebration of Thomas Jefferson’s Monticello being named one of Trip Advisor’s Top 25 Landmark Attractions in 2014, here’s a list of five of our favorite Jeffersonian keepsakes. These selections, both stylish and useful, were chosen for their link to Jefferson and his historic home. Your purchase of these classic gifts from The Shop supports Monticello. Help preserve this World Heritage site, visit, and give the gift of history today! For 200 years, Tulip Poplars planted by Thomas Jefferson stood sentinel by Monticello’s west lawn portico. Then, in 2008 and 2011, the enormous trees succumbed to age and illness and were taken down. Dennis Hippen is one of several local artisans The Thomas Jefferson Foundation has entrusted to honor their beauty and historic significance. 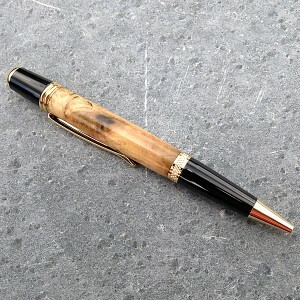 He uses the wood from these majestic trees has been used to create this handsome pen. Bring this authentic souvenir home and use it as a reminder of your visit. This pewter cup is a patriotic souvenir whose design goes back to 1810, when Jefferson commissioned a silversmith to make eight cups from his own design, he probably never imagined how popular they would become. Exquisitely simple, extremely versatile, they are as suitable for serving a festive punch as they are for holding cufflinks or paper clips. 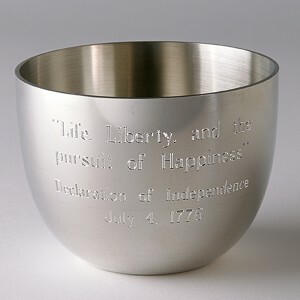 This cup is engraved with “Life, Liberty and the Pursuit of Happiness” of course there is a variety of different quotes you can pick from on our website or you can engrave your own initials! This gift will please any espionage enthusiast or individual looking to send a secret message. 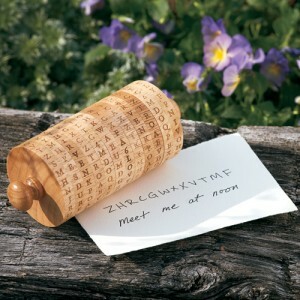 While serving as President George Washington’s secretary of state (1790-1793), Thomas Jefferson devised an ingenious and secure method to encode and decode messages: the wheel cypher. During the American Revolution, Jefferson had relied primarily on messengers to hand-carry sensitive letters, but codes became an essential part of his correspondence when he was America’s minister to France (1784-1789) since European postmasters opened and read all letters passing through their command. 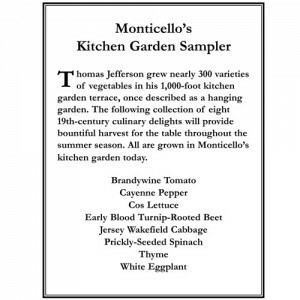 Take home seeds from Jefferson’s garden to start your own Thomas Jefferson grew nearly 300 varieties of vegetables in his 1000 foot kitchen garden terrace, once described as a hanging garden. The following collection of eight 19th century culinary delights will provide a bountiful harvest for the table throughout the summer season. All are grown in Monticello’s kitchen garden today. 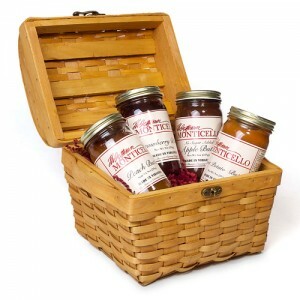 Enjoy this basket of selected preserves from Jefferson’s garden. Mrs. Margaret Bayard Smith, a frequent Monticello visitor, once wrote that Jefferson’s breakfast spread was a tantalizing affair. She described his breakfast table as being “as large as our dinner table,” complete with “muffins, hot wheat and corn bread, cold ham and butter.” Sweeten your own breakfast table or delight a toast, biscuit or waffle-loving friend with 9 oz. jars of Monticello Apple Butter, Peach Butter, Strawberry Butter and Sweet Potato Butter packed in a handsome lidded wooden-slat basket with brass hinges and clasp. For information on how plan a visit to this historic destination, visit www.monticello.org.